If you’re a Michter’s drinker, chances are you’re into your American whiskey in a fairly sizeable way. That’s not to say it’s ‘cult’ or ‘exclusive’, or even terribly rare (a couple of ‘Unicorns’ aside – but we’ll get to those) but it’s not likely to be the first bourbon or rye you’ll ever encounter. Same way it’d be pretty unusual if your first scotch was a Port Charlotte. They’re not supermarket bourbons, put it that way. You get into American whiskey, and then sooner or later someone recommends Michter’s. There’s every chance, if you’re in the UK, that the person making that recommendation is a member of the British Bourbon Society. We absolutely love the stuff. On the leaderboard of bottle photos gloatingly uploaded to the Facebook group, Michter’s would rank highly. So when the society’s Founding Fathers announced a tasting of whiskies from across the range, there would have been a lot of excitement anyway. Add to that the revelation that the twenty year old bourbon and twenty-five year old rye were to feature, and ‘fever pitch’ doesn’t quite cover it. 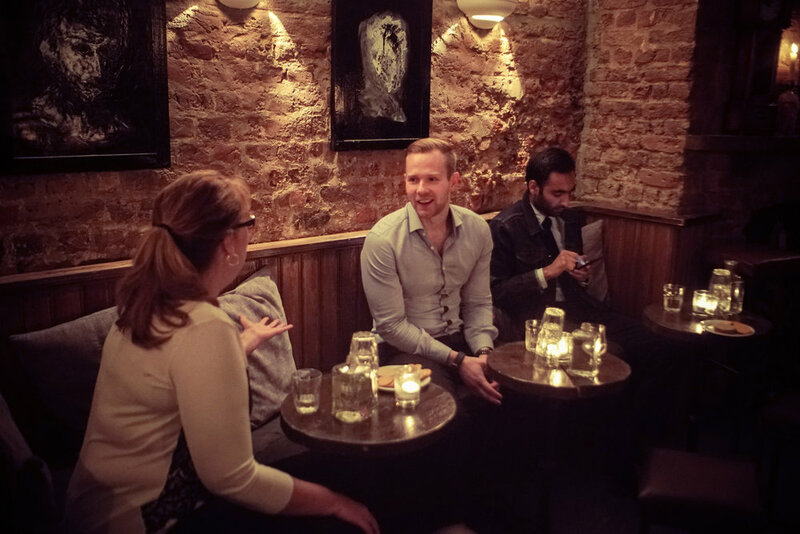 So, on 27th September, a group of Society stalwarts made their way to Milroy’s in Soho, which effectively doubles as ‘British Bourbon Society HQ’. Lurking in the Vaults beneath the shop; a line of ten Michter’s bottles, eager to be put through their paces – school-night be damned. One aspect of the presentations from Andrea and Matt that I think everyone present appreciated was that at no point did they attempt to tell us what aromas or flavours we ‘should’ be picking up. Anyone who has been to a ‘tutored’ tasting before has been given a breakdown of flavours they are seemingly ‘expected’ to find in the whiskey, and frankly there’s not much more annoying. 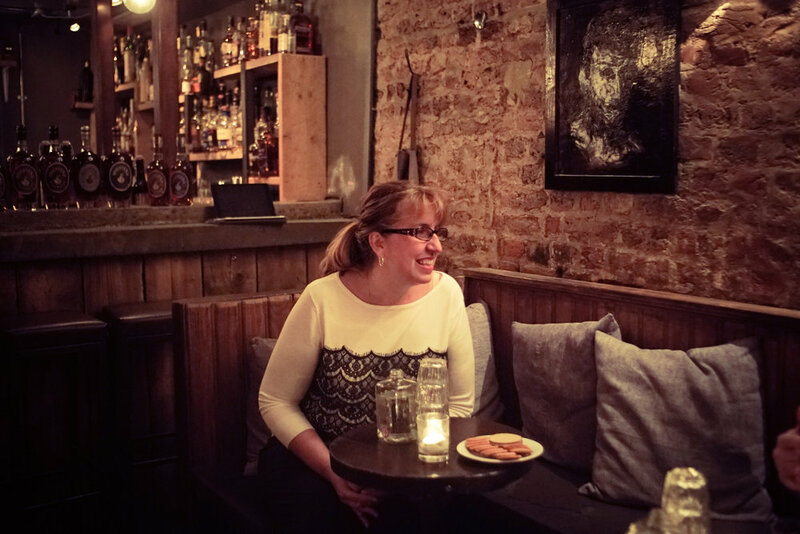 One memorable chap at a scotch festival once grabbed me by the arms, fixed me with a glare, counted down from seven and then bellowed ‘GINGER!’ – but that’s a story for another time. Today we were given the freedom to draw our own conclusions, and for that both Andrea and Matt have my sincere gratitude. More than anything else it expressed a confidence in the whiskey, and a respect for the palates of their consumers. Thanks chaps! We moved on to the Toasted Barrel Finished Bourbon, and the difference in nose and palate – for a matter of mere weeks in a more charred barrel – is immense. It’s easy to see why this is a bit of a fan favourite from the range. The Single Barrel Rye was our next victim; first in a run of ryes which was completed by the Barrel Strength and then the ten year old. Unicorns aside, this might have been my favourite ‘stretch’ of the evening. Not necessarily for flavour – though all were delicious – but for a demonstration of how profoundly strength and maturity can impact a whiskey. Got to love a bit of comparative tasting, right? The ten year old rye took us into the territory that many of those present had been waiting for. Whilst the ten year olds aren’t necessarily ‘Unicorns’ per se, you’re still not going to bump into many on the average stroll. What’s one rarity step down from a Unicorn? Would a competent England Football Manager count? Or is that one rarity step up? I digress. The ten year old Michter’s’ are rare – and we were excited to taste them. That’s the take-home. Once they had been savoured it was time for the grand finale. The twenty year old bourbon and the twenty-five year old rye. Prior to imbibing, Simo, who is Milroy’s’ Commander-in-Chief, announced in no uncertain terms that the twenty-five was the greatest rye he had ever tasted, that it made sliced bread look a bunch of crap, that it was the unquestionable pick of the evening, and that anyone found not in agreement would have a photo placed behind the bar with a ‘do not serve’ notice attached. Or words to that effect. Unicorns successfully hunted, we milled around the vaults a little while longer. 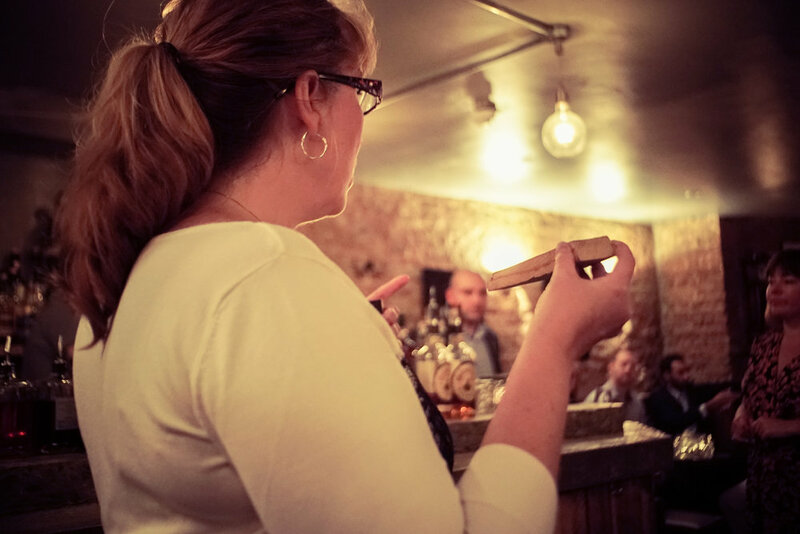 I was lucky to chat to Andrea for a little while, with the upshot that the Sour Mash and the American Whiskey were added to the little black tasting book. (I’m not even speaking metaphorically – I’m that guy. Sorry.) We then received hugely generous ‘party bags’ – and ‘party bags’ here translates as ‘sports bags loaded with goodies.’ Once again, can’t thank Andrea, Matt and Stefanie (who was representing Speciality Brands) enough for how well they took care of us. Huge thanks also to Simo and the whole Milroy’s team, who remain the BBS’s most favourite people. The word I found myself writing down more often than not was ‘cerebral.’ Now that’s partially attributable to my being a ponce, but I do think it sums up my thoughts on Michter’s quite well. It’s thinking whiskey; interesting whiskey – whiskey that deserves time and attention. With the help of Andrea we were all able to give it that, and I think we were all left eager for the next BBS tasting. I know I was. Happily, it’s in less than 48 hours.